What I have Learned in 16 years of Marriage. From The BlogA Sunday Thought The Blog 16 years of marriage What I have Learned in 16 years of Marriage. My Cowboy. I wouldn’t trade this day for anything. My Cowboy and I, 16 years later. I am blessed. Today, October 10 is a good day for me. Why? On this day 16 years ago I became a wife. 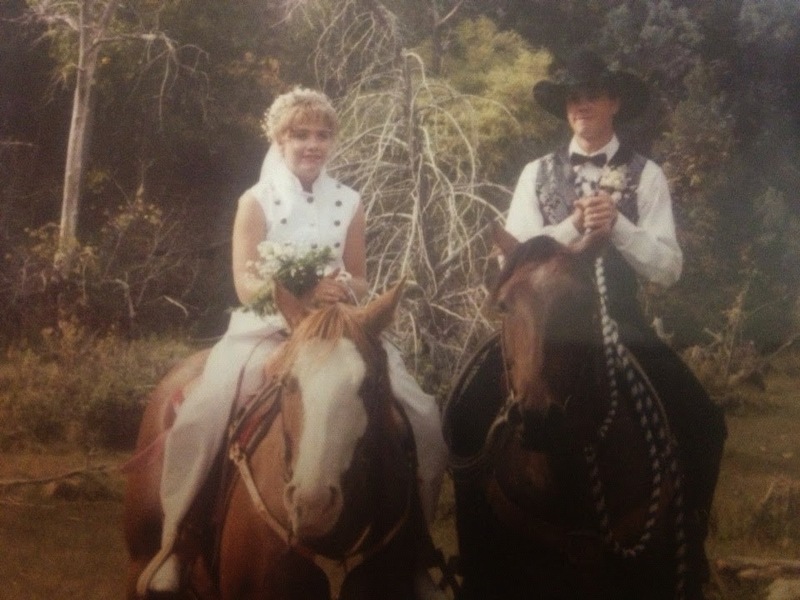 Here is 16 things that I have learned from being married to my cowboy for 16 years. 1. We must forgive each other over and over and over and over if we want to have peace and joy. 2. Nobody is perfect. So I can not expect my cowboy to be. We all make mistakes and we all have flaws. The most important is that we overlook the mistakes and the flaws and find the good. 3. Marriage has challenged me more than anything else in my life. It has shown me many of my weaknesses and spiritual short comings. Being married has brought me closer to God. Being married has brought me to my knees. 4. You have to do the harder things. It is pretty easy to criticize and nag but it takes effort to encourage and build up. 5. I have learned that we reap what we sow. This has taken some time to see clearly but when I think that our marriage flower isn’t very good, I simply need to water mine a little bit more. 6. I have learned that I am hard to be married to. I know that I have things that are annoying and have blind-spots. 7. I have learned that my husband needs attention. He needs to have quiet time. He needs hugs. He needs to have “Talks.” He need to hear “I love you” everyday. 9. Reading the book called “The 5 Love Languages” has really helped our marriage. Not only has this book help our marriage but it also makes you a better friend. 10. Giving My Cowboy respect changes the way my husband sees me. Submission is like a muscle..The more I practice, the stronger and easier it becomes. 11. It is so important to have “bedroom time.” Yep that is what I said. Put the kids to bed. Lock the doors. Pull the covers over and pretend like it is your wedding night!!! 12. I have learned that I am a student learning and growing as a wife. It is important for me to be a better wife than I was yesterday. 13. Being married to a cowboy is hard work and can be a bumpy road. There are times of the year that test our marriage. For example, calving. Long hours and no sleep. But I know if I have God’s guidance and my cowboys hand- we will go for many more years. 14. I have learned that my cowboy doesn’t always show his love by his words or affection but often it’s through his faithfulness, his hard work on the ranch, taking the kids for a day so that I can have some quiet time. 16. I have learned in 16 years of marriage that it is so important to talk. Communication is so important. I have learned the hard way but now I know that it is better to talk than to hold it all in. Happy Anniversary!! Thank you for 16 years of love, for your faithfulness through all the ups and downs. Thank you for trusting me. Thank you for your leadership and your heart. Thank you for giving me four beautiful children. Thank you lifting me up when I am down. Thank you for picking me to be your wife. Thank you for all your hard work. I truly love you more everyday and can not wait for the next 16 years. 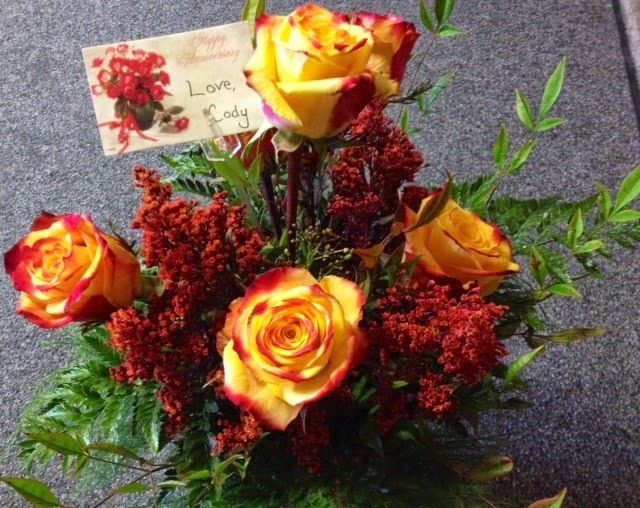 Roses and wildflowers delivered today from my special cowboy!